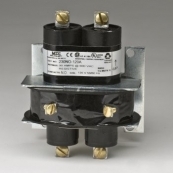 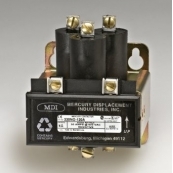 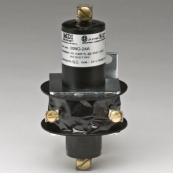 Mercury Displacement Relays (MDRs) Use Mercury To Conduct Electric Current Across Two Contacts. 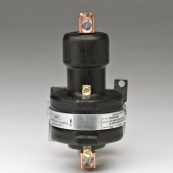 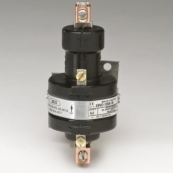 On-off Is Achieved By Changing The Mercury Level In The Reservoir With a Plunger Activated By a Solenoid Coil. 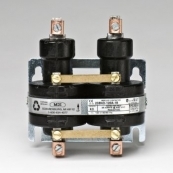 MDRs Switch Both AC and DC Power. 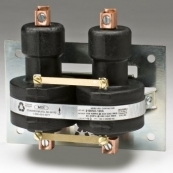 MDRs Are Uultra Heavy Duty Capable Of Handling Large Amounts Of Electrical Current. 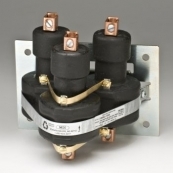 Bathing The Relay Components In Mercury Helps Dissipate The Heat Generated From Frequent On-Off Cycles. 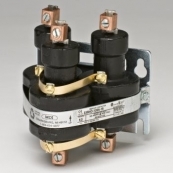 Mercury Contactors There are 31 products.